It’s always an interesting thing for me to meet a wine maker or wine personality for the first time. You never know what to expect, the personalities are as varied as wine itself. 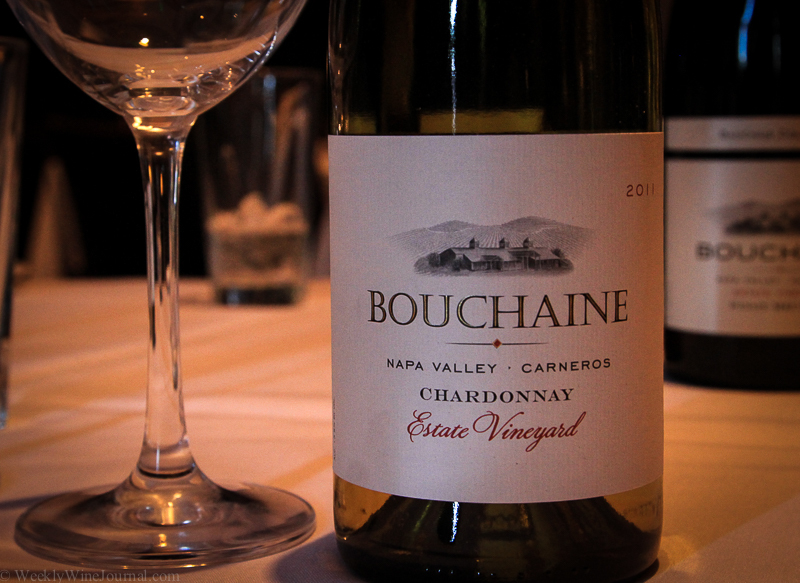 Recently, I had the pleasure of dining and talking with Greg Gauthier of Bouchaine Vineyards. I walked into the dimly lit steakhouse and in the back at a table by himself sat a man with a table of wine bottles and a few boxes of wine by his side. He greeted me warmly and said they were still getting the private room ready, and would I like to grab a beer while we wait. So we went over to the bar which allowed us to begin our conversation. We sat and drank water instead of beer. It was at least 110F outside in the Phoenix summer heat. I asked him how he was enjoying the weather. He smiled and chuckled. The private room became ready a few minutes later and we continued our 3 hour conversation there. Greg brought some of the current line up of Bouchaine Vineyards wines out including several Chardonnays and Pinot Noirs. As we began sipping he asked me to hold off for a minute, he summoned the wait staff and ask them to bring an olive, a piece of lemon skin, some salt and a few other morsels. He carried out a little sensory experiment for me that was quite fascinating. Try the unoaked chardonnay, then drop a piece of lemon skin the size of a small nail head in the glass. After only having been in the glass for a few seconds, the wine was completely changed and overpowered by lemon citrus, yet it still tasted quite nice. It tasted just like a New Zealand style sauvignon blanc. These taste experiments lead into a discussion about the current marketing strategy of Bouchaine. It’s not really a strategy like one hatched up by Don Draper, more like an approach to explaining the wines. It’s Greg’s job to travel the country with his wines and talk with chef’s and restauranteurs and try to get them to see these wines as companions to food. Not just companions but soul mates. Just as the lemon skin changed the Chardonnay, I could now imagine that wine pairing very nicely with a salmon ( Pacific, NOT farmed) with lemon juice dressing. Or something along those lines. We tasted through the wines while Greg gave me a brief history of the Bouchaine operation. 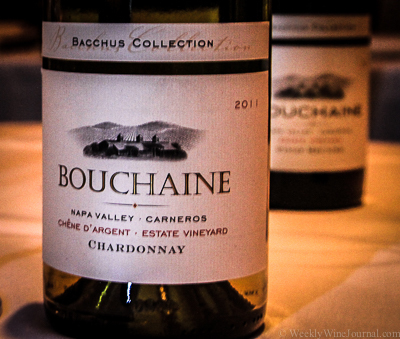 Bouchaine is the oldest continuously operating winery in the Carneros District. The Carneros District is one of only a few American Viticultural Areas (A.V.A’s) located in two counties. The Carneros district is located in both Napa Valley and Sonoma Valley at the edge of San Pablo bay. The area is prone to fog and cool ocean breezes and is really ideal for Chardonnay and Pinot noir. This is a crisply acidic and refreshing wine, loads of citrus some nice mineral notes. Fermented in stainless steel and weighing at 13% alc, this is really a very refreshing take on the typical massive alcoholic butterbombs that are all too common in California wine these days. Only 246 cases produced. This wine is a completely different style than the last, and equally interesting. The wine was aged in 15% new French, American and Hungarian oak, with 50% undergoing malolactic fermentation. With a production run of just over 6,000 cases this wine should be readily available in most fine wine stores and dining establishments. “You probably won’t find it on your local grocery shelf though” Greg said. The wine has a much softer mouth feel than the previous wine, a nice hint of butterscotch. This wine saw 11 months in 33% new French oak barrels and weighs in at 13.85% alcohol. A little over 400 cases were made. First, a little about Pinot Meunier… one of 3 noble grapes used in the production of Champagne, very rarely used in the production of dry red wine. Closely related to Pinot Noir. 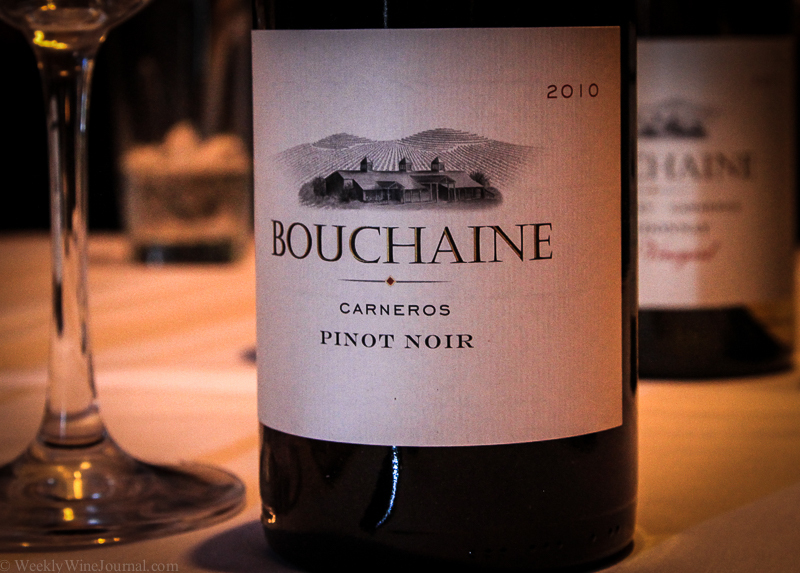 Bouchaine, 2010 Pinot Noir, Carneros. I forgot to ask Greg why the labeling was different on this bottle, no mention of Napa there. This wine also saw 11 months in 33% new French oak with alcohol almost identical to the Pinot Meunier at 13.8% With production at a little under 10,000 cases this wine should be available at most wine shops and restaurants. This is a good solid cool climate Pinot Noir that Carneros is so well known for. Flavors of strawberry, red cherry with a little spice and earth. Robust acidity and tannins. “Not in this heat” she said. 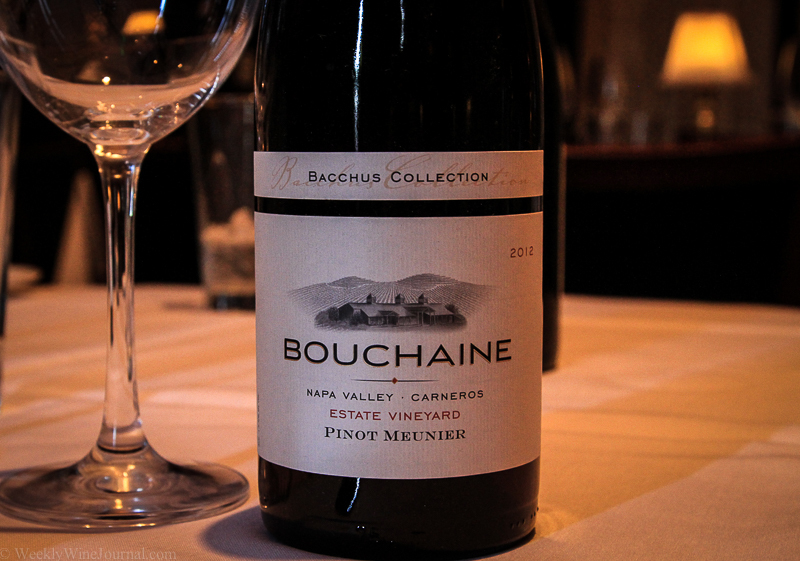 On my next trip to Napa I will definitely be taking a side trip to Carneros and Bouchaine vineyards. It’s really very close, literally about 15 minutes from downtown Napa. Hopefully Greg will be there to show me around! I had a chance to sit down with Mike and Kara Dunn at the Dunn Vineyards Estate on top of Howell Mountain and talk a little bit about wine. 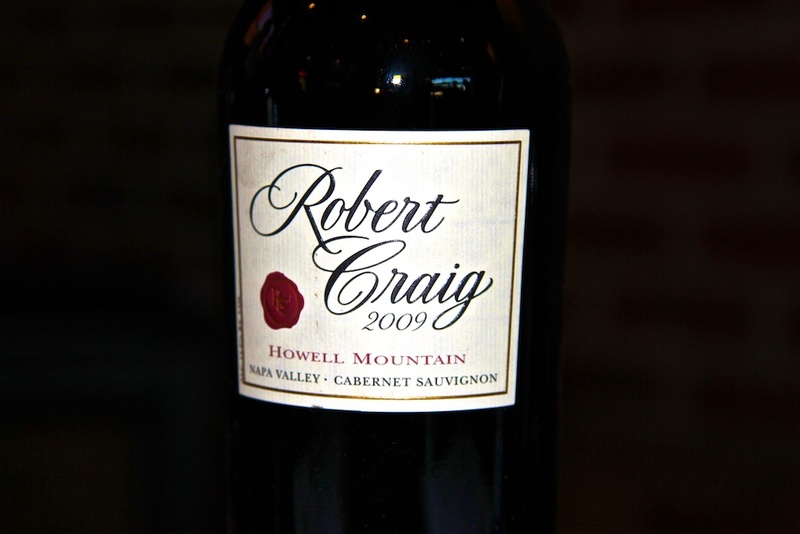 First I tasted Mike and Kara’s new project “Retro Cellars” and then I tasted a selection of Dunn Vineyards Howell Mountain Cabernets. 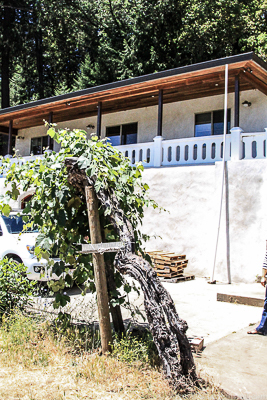 Randy Dunn started Dunn Vineyards over 30 years ago on some land near high up on Howell Mountain. Some of the original structures from the 1800’s are still on the property. This includes a white two story house that serves as the laboratory and business offices of the winery. This building was actually a rest house for the pony express back in the 1800’s. 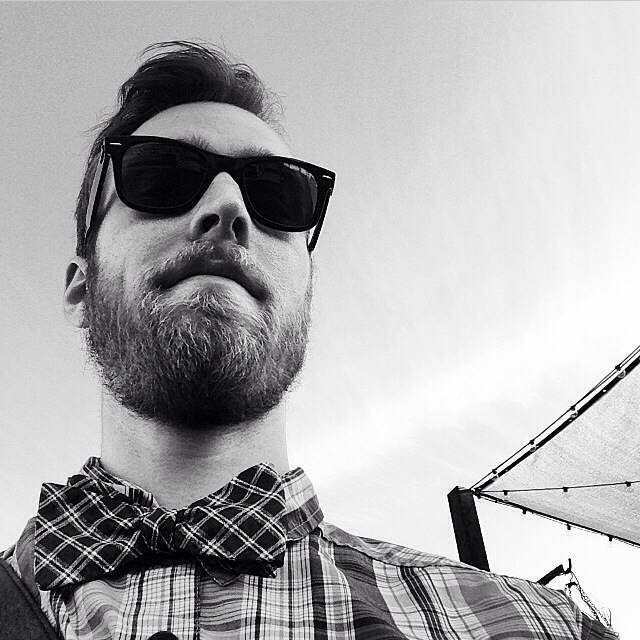 Here’s part one of the interview with Mike. 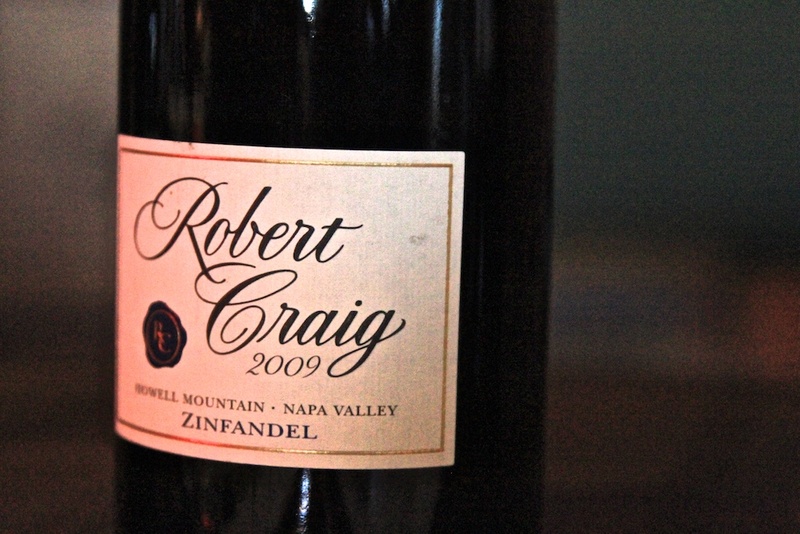 In it he discusses how he actually “came back” to wine and how he came to make Petite Sirah. Last month I had the chance to sit down and interview wine maker, Peter Mondavi. 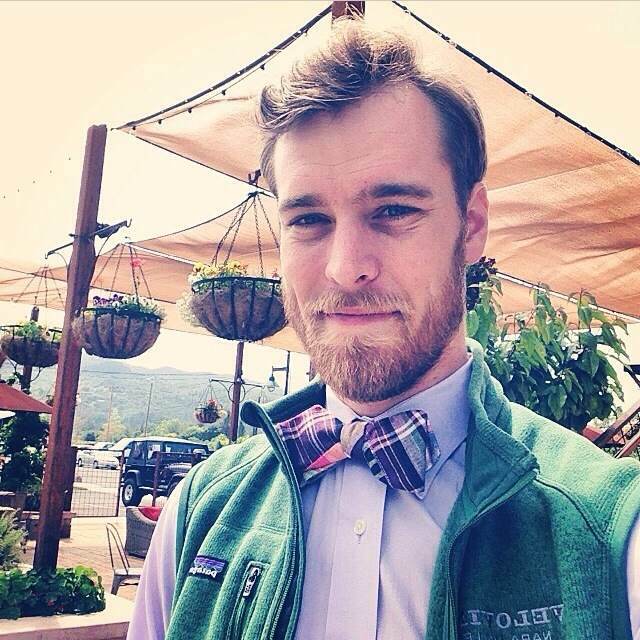 Yes, Peter Mondavi, nephew of Robert Mondavi, son of Peter Sr. Mondavi and owner of the Charles Krug Winery in Napa. He brought with him the latest offerings from the Charles Krug Winery and we sampled them over dinner at the Phoenix City Grille, in Phoenix Arizona. After dinner, and a wide ranging conversation I conducted an interview based on some of the topics we had talked about. I’ve broken the interview down into three smaller parts for youtube consumption. I will provide wine reviews on the wines we tasted in some upcoming posts. If you’ve ever bought wine at Costco, you’ve most surely come across Cameron Hughes Wine Lot Series. Cameron has built a formidable brand out of rescuing high end “orphans” and repurposing them for the value driven consumer who appreciates high quality wine. 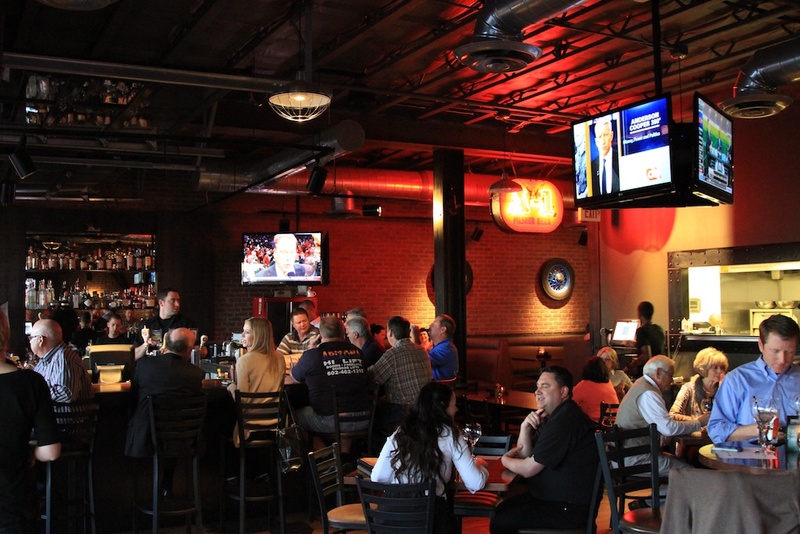 Cameron was recently in Scottsdale, Arizona for a wine dinner at Tommy V’s Urban Grille, with tickets being sold exclusively through select Costco’s. I managed to sit down with Cameron for a few minutes and asked him about his business model, production levels and future plans, as well has his prognostication for what wine region may be “hot” in 2013. 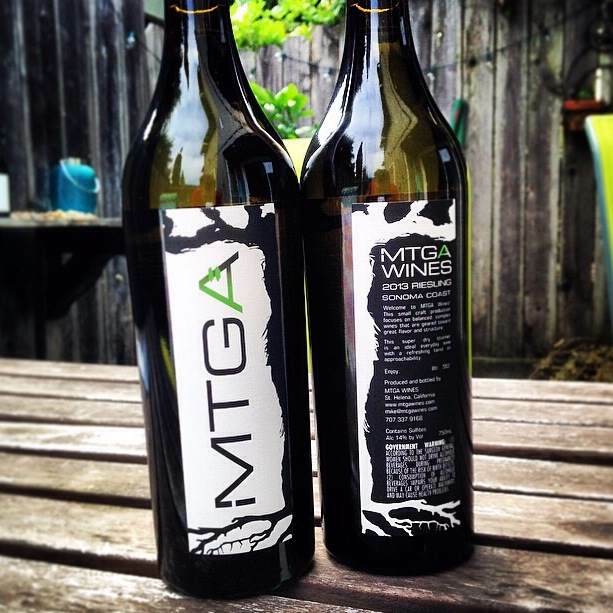 I had a chance to sit down with Arizona wine maker Maynard James Keenan at this year’s Arizona Wine Grower’s Association “Festival on the Farm”. 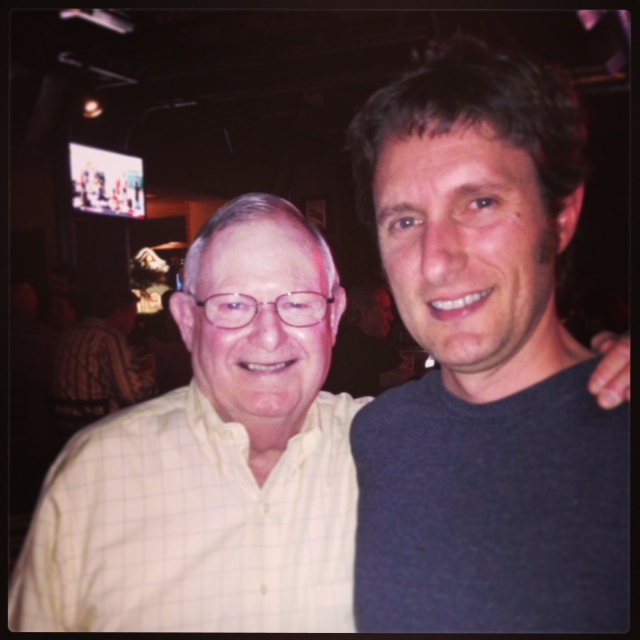 Mr Keenan is the owner of Arizona Stronghold Vineyards, Merkin Vineyards and Caduceus cellars. Arizona Grower’s Cup, Gold for red. And a clean sweep in the white category, winning Gold, Silver and Bronze!